Career: Sold to Cunard after IFR bankruptcy. Renamed SCYTHIA-1976, CENTAURUS-1986. Fire Wilmington, Del 8 Feb 1989 and broken up Chittagong 18 Jul 1989. 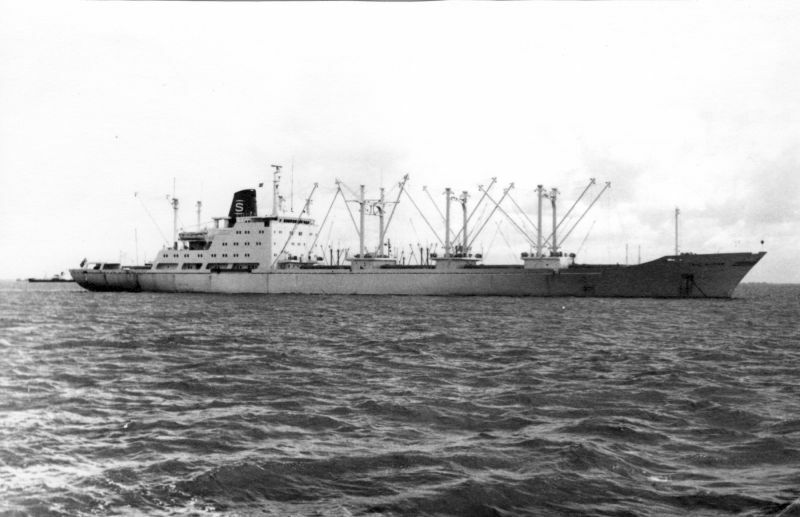 Above: IRIS QUEEN in Jakarta with a full load of bagged sugar from Racifi South America.